We often hear about the working conditions for factory workers in countries like China where those making cellphones for American consumers live in company dorms that allegedly have nets over the building to prevent workers from jumping out windows in suicide attempts. These suicide attempts are allegedly related to the poor working conditions for workers who are taken far away from home and their families. While conditions are not generally considered this bad in America, at least not in the past 50 years or so, according to a recent news article from Racked, factory conditions for workers in Los Angeles are worse than we might think. The article focuses on stories of several workers. One of them was brought to this country with a tourist visa from Malaysia. Her employer provided this tourist visa, even though it does not allow her to work legally in the United States. She was taken to her employer’s suburban home and allegedly forced to clean the home and office for $200 that was paid every 37 days on average. She was promised she would be paid $1,000 per month, but this didn’t happen. Due to her immigration status, she didn’t know what to do other than to run away from her employer’s home and go to Los Angeles. She is now working at a factory in Los Angeles making high-end yoga clothing for a company that sells it at a tremendous markup. 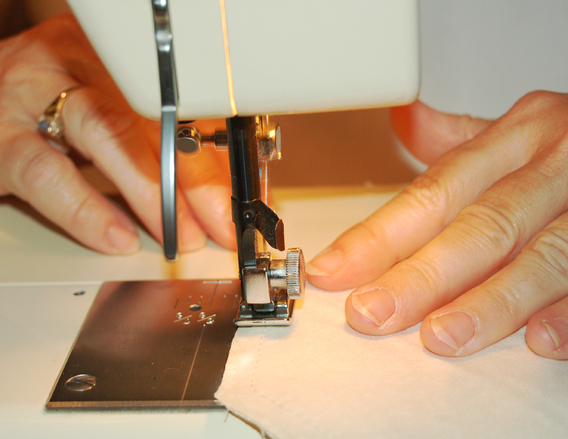 She operates a piece of equipment known as cover stich machine and earns $400 per week. She works 55 hours a week, so this much lower than the Los Angeles minimum wage. A recent report found that these factories not only take advantage of workers in terms of pay, but they are also dirty and dangerous work environments. There are reports of rat infestations, unsanitary conditions, poor and unsafe lighting, a lack of air conditioning, and numerous other labor law violations. Another worker interviewed for this story works as a sewing machine operator at a factory making dresses in Los Angeles. She earns even less than the first woman interviewed. She works well over 40 hours a week and earns around $120 for all the weeks’ work. This is far less than state and local minimum wage levels. She is barely being paid at all if these allegations are true. As our Los Angeles employment attorneys have seen in far too many cases, unscrupulous employers regularly take advantage of foreign-born workers, and they often get away with it. The reason is because they assume, often correctly, that workers will be too afraid given their immigration status or their problems speaking English, in some cases, to go to authorities. Sadly, much of the current enforcement action against undocumented workers targets the vulnerable workers rather than the companies that are exploiting these workers. However, it is important to understand that regardless of your situation, you have rights if your employer is taking advantage of you, and you should speak with an experienced employment attorney to learn what those rights may be. You should also know that your consultation with an attorney is entirely confidential and will not result in any action being taken against you.